Rowan was my foundation. She was an amazing dog, who put up with my learning. Together we accomplished quite a bit! I will and do miss her. She was in the top ten MVA at 3 different nationals. And competed in agility finals twice. 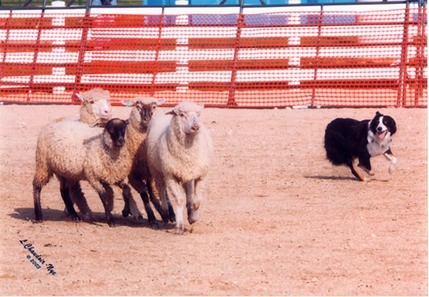 Not only was she an amazing performance and working dog, she also was good with children when we did demos in schools. Loved hiking and canoing, and just being my companion. I'm eternally greatful for Sherry Baker and Audrey Klarer for letting me have Rowan. And she will never be forgotten, as she lives on in my heart and in her descendents.